Platform.sh is an incredibly ambitious software project. It is an ensemble of tools and services that allow our users to deploy and manage software on the cloud;It is made of hundreds of code repositories. It is a software orchestration solution that encapsulates the full life-cycle of a software project. Including all of the dependencies. It is an abstraction of everything software needs to in order to run. It is a contract that explains how a particular piece of software can be run. 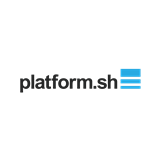 Platform.sh is built on top of open source languages, libraries and projects. But we never shy away from writing code. This means that even if there is an existing open source project that covers much of the functionality of something we want to achieve, we will consider, and often enough, decide to write our own implementation; Because sometimes 80/20 is not good enough. We have our own orchestration layer, our own reverse proxy, our own file-systems, our own reproducible build system. With so many moving parts ensuring the reliability of the system is paramount to our success. Beyond running unit and functional tests on the CI we have our own end-to-end functional chaos testing framework and we are actively expanding the scope of reliability engineering. Design testing strategies and build the frameworks to automate all aspects of reliability both in our CI, Chaos testing regions, and in production. Design and implement test scenarios and make sure all quality activities are automated and reproducible. We do not want to test stuff by people clicking around. Design systems that record and document anomalies, allow us to correctly estimate their impact and create thorough non-regression strategies. The Python is strong with you have a very good familiarity with at least a couple other programming languages (some Ruby is nice). Functional languages very much appreciated. And Rust. But some C is probably a requirement? We do tend to provoke Kernel bugs ever so often. Awareness of testing standards, quality processes, and QA related tools in market and a deep dislike of most of those. I mean you really do need to hate both HP quality center and Selenium to apply. Good system and networking knowledge. We do tend to break more than the Kernel (we contributed bug fixes to the Kernel, CEPH, Zookeeper, Kazoo, Dulwich .. and probably a dozen others). Understanding of distributed systems and how they break. We to tend to go into Byzantine failure modes. We are a worldwide distributed team and you’ll need to be able to effectively collaborate across time zones while being given a high level of independence and autonomy.